Coach Kwesi Appiah has hailed the attitude of the Black Stars players after their first training session. Twenty-one officially started preparation as they get themselves ready to host the Harambee Stars on Saturday. Kenya will be welcome to the Accra Sports Stadium in the final Group F clash after defeating Ghana by a lone goal in the first leg staged at the Kasarani Sports Stadium. 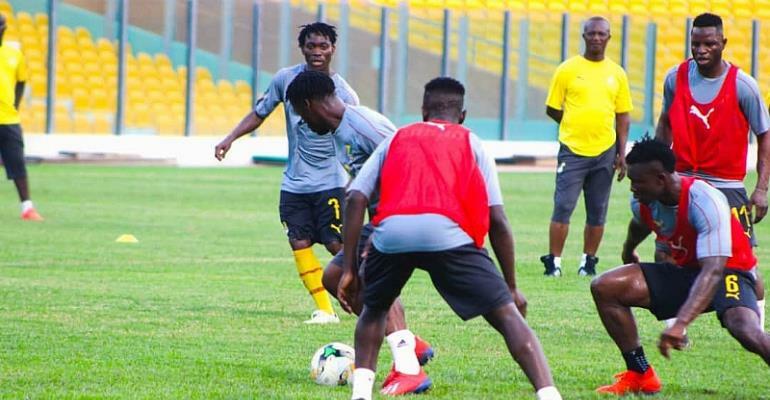 After the training session on Tuesday, Coach Appiah told the media that he was excited by the positive attitude exhibited by players since regrouping in camp on Monday. “The demeanour of the players is very good, each and everyone is comporting himself. As usual, everyone is giving his best which makes the job very difficult me in terms of selection. “It’s important Ghana win every game we play, I believe Kenya has a very strong team and that the game would not be easy,” he added. The team will train at the Accra stadium on Wednesday evening under floodlights to get accustomed to Saturday’s late kickoff and continue with preparation on Thursday afternoon and Friday morning.